Approximately 1¼ miles east of this site is the historic Johnson's Crossing. 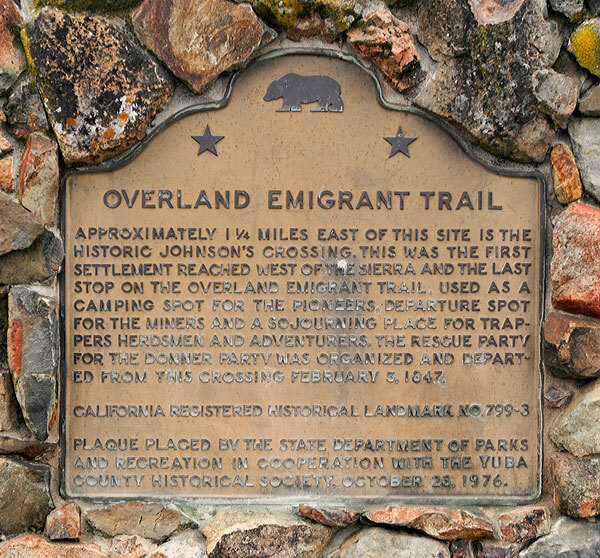 This was the first settlement reached west of the Sierra and the last stop on the overland emigrant trail. 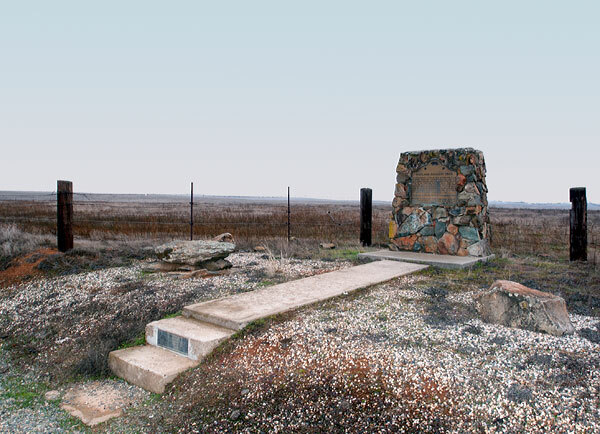 Used as a camping spot for the pioneers, departure spot for the miners and a sojourning place for trappers, herdsmen and adventurers, the rescue party for the Donner party was organized and departed from this crossing February 5, 1847. Plaque placed by the State Department of Parks and Recreation in cooperation with the Yuba County Historical Society. October 28, 1976.